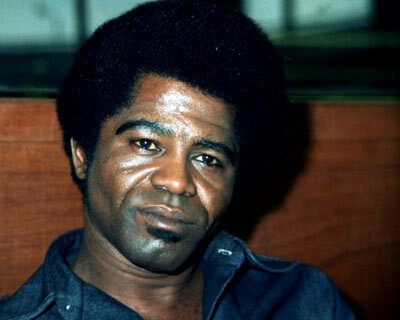 Today is James Brown’s Bday: Did Your Local Hip Hop Station Remember Him? Today is May 3rd and for many of us this date holds no real meaning except that it either signifies another payday or the start of Cinco de Mayo weekend (Cinco de Mayo is May 5th). Sadly, there are many of us who are knee-deep in Hip Hop culture who have never took notice when May 3rd rolled around, but perhaps we should. After all, it was on this day back in 1933 in Barnwell, South Carolina that Hip Hop’s true Godfather was born. Like so many within Hip Hop he had a harsh childhood. Before he was even 5 years old, Hip Hop’s ‘true Godfather was shipped off to Augusta, Georgia where he lived in a brothel owned by his Aunt. As a child he earned his keep by running errands and trying to solicit soldiers from the nearby base to visit his Aunt’s establishment. Like so many who came after him, the hardships and him needing to hustle led to a life of crime. He eventually had to serve jail time until he finally got himself together. It was that humble and troubled upbringing that sparked a fire and laid down the ethos of Hip Hop-to create something out of nothing. No, I’m not talking about is not Kool Herc, Afrika Bambaataa, Grandmaster Flash or any of the other often named pioneering cats. However, if you sit any of them down in a room, they will tell unequivocally that they are children and grandchildren to this individual who wound up being Hip Hop’s original driving force and musical inspiration. His music, vocal delivery and showmanship would influence everyone from Chuck D of Public Enemy to MC Hammer. One has to understand that back in the days when Hip Hop was first evolving in the 1970s Hip Hop’s pioneering figures routinely paid tribute to the musical offerings of this individual. While Black radio stations moved in a direction that embraced formalized disco, the musical landscape of the early Hip Hop Park Jams was juxtaposed. Classic songs like ‘Soul Power‘, Pass The Peas‘, Funky Drummer‘ and ‘Get Up, Get Into It, and Get Involved‘ would blare through the sound systems of Hip Hop’s early deejays and drive the early b-boys and b-girls to the edge. In later years many would point to this individual’s signature dance ‘the Good Foot‘ and his song ‘Get On the Good Foot‘ as the inspiration for what we now call ‘break dancing’. 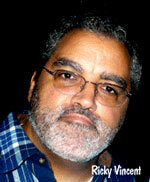 ‘History of Funk‘ author and KPFA Radio host Professor Ricky ‘The Uhuru Maggot’ Vincent notes that James Brown is perhaps the most important individual in modern music who has done more to change the structure of Black music than any other person in history. Vincent explained that in many respects James Brown ‘Africanized’ Black music by changing the rhythm, the structure and the manner in which soul/Black music was played. When James Brown entered the scene all that changed. He delivered the drum front and center. Vincent noted that James Brown brought out a more prominent rhythmic foundation for the music and introduced the important concept of ‘Hitting on the One’. James Brown focused his entire band including the complex horn, rhythm guitar and keyboard arrangements of his band mate Fred Wesley, Pee Wee Ellis and Nat Jones to ‘deliver on the one’. James Brown punctuated his efforts by using his voice with his vintage grunts, groans and screams as a binding force which also drew everything ‘on the one’. It seems so simple and commonplace today, but back then it was ground breaking. Vincent who eloquently breaks this whole thing down in book ‘The History of Funk’ went on to add, that prior to James Brown most American music built upon the Blues tradition. After James Brown, American music built upon the tradition of the Funk concept of ‘Hitting on the one’. Everything from ‘disco’ to ‘modern rock’ to Hip Hop has built upon that concept introduced by James Brown. In later years the West Coast Hip Hoppers would build around the music of Parliament and George Clinton who themselves were directly influenced and inspired by the ‘Hit it on the One’ concept of James Brown. What’s even more interesting about James Brown was the fact that early Hip Hoppers kept his name in circulation and his music ‘in the mix’ at a time when many in the music industry seemed to move beyond him. Vincent explained that in the 60s James Brown for the most part had become a pop star who was delivering hit after hit. [The only person to have more number one records then James Brown was Elvis Presley]. He suddenly found himself out of favor on the pop side of town after he delivered his anthem ‘Say It Loud I’m Black and I’m Proud’. Songs which came after like ‘The Big Payback’ which was his most successful venture came after further pushed him away. He had simply become two Black for pop radio. By the early to mid 70s Black radio at least in New York City had stopped playing James Brown despite the fact that he was recording 2-3 albums a year. That’s at a higher pace then 2Pac and that’s not counting the additional recordings he delivered with members of the James Brown family which included artists like Lynn Collins, Marva Whitney, Bobby Byrd, Maceo, Fred Weasly and the JBs, and Martha High. Brown’s relentless drive positioned him to be a major force in music during the 70s and while he did drop a couple of big hits he wasn’t the mainstay artist like those who came after him and built upon his concepts. Vincent noted, the problem that James Brown was running into was the fact that many of the artists who came after him retooled their overall sound to be smoother and more mellow. In the early 70s artists like Curtis Mayfield, Eddie Kendrick, Marvin Gaye and Teddy Pendergrass ruled the airwaves with their message type songs over melodic beats. 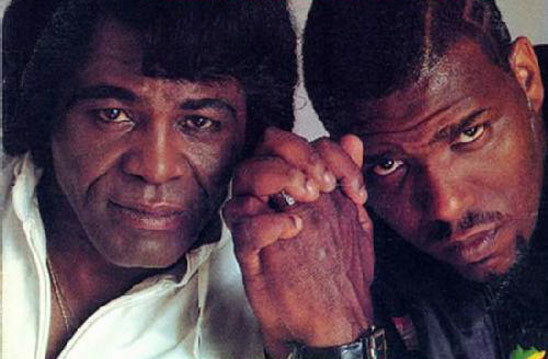 For the most part James Brown remained raw and gritty and very street. By the mid 70s to late 70s disco began to take hold and displaced the sounds delivered by many of the aforementioned soulful artists. At one point James Brown tried to shake things up and boost sagging record sales by releasing an album called ‘The Original Disco Man‘ which contained a song called ‘Too Funky‘. Sadly, the album never ‘moved the crowd’ and wound up flopping. So while James struggled to get a foot hold within the changing discotized music industry, in the parks and on the early Hip Hop sets of the Bronx, James Brown was king. You could not go to a jam and not hear James Brown. And soon as one of his jams hit the turn tables the place would go wild. His raw gritty street style sound was embraced whole heartedly by the Hip Hop community who rode with him full throttle all the way up until the late 80s. By then James Brown had hooked up with a number of rap artists including Afrika Bambaataa, Full Force and MC Hammer to record songs. 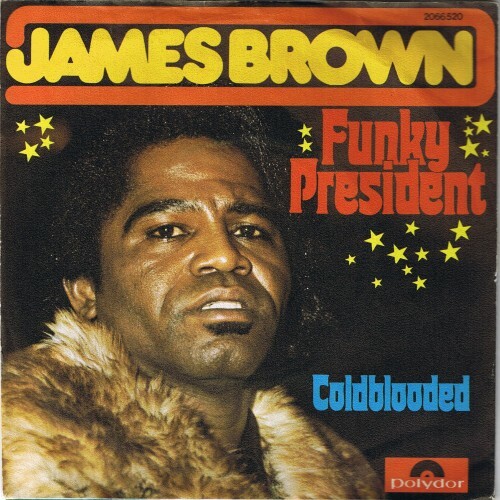 It wasn’t until the p-funk/George Clinton inspired sounds of West Coast Hip Hoppers began to emerge that James Brown began to take a back burner within Hip Hop circles. It also didn’t help that he along with the rest of the music industry started clamping down on recording artists were sampling his music like there was no tomorrow. We could do an entire book on the significance of James Brown. In fact there are several that are already written and film maker Spike Lee is gearing up to do a movie that chronicles the life and times of Mr. Brown. It’s both interesting and sad that many of us in Hip Hop allow our pioneers to drift away in obscurity. Many of us even get arrogant and try to act like that what they are doing is new and unique when in fact it has been done before over and over. Without the history, not only do we not have the opportunity to build on past legacies, we also run the risk of making false analysis and assumptions. For example, I ran into some ‘keep it real type cat’ who took the position that James Brown had nothing to do with Hip Hop. Dude really believed what he was saying but as we talked I came to find out that he did not know that James had even recorded a song with Bambaataa. But at 19 years old where was he really gonna get that info? He wasn’t even born when that landmark record ‘Unity‘ was first released. The local Hip Hop stations never play the song and even sadder they certainly they don’t do any interviews with Bambaataa or James Brown when he was alive and came to town. Contrast that with the type of respect and reverence folks have for rock icons. We celebrate their birth dates and various milestones of their careers. Music legends like The Beatles, Elvis Presley, The Rolling Stones and even Kurt Cobain of Nirvana are given major dap as their musical legacies are passed down from one generation to the next. Recently former Beatle Paul McCartney swung through Oakland to kick off his tour and it was a sight to behold. Not only did the event sell out and was the lead story on the evening newscasts, you also got a chance to see in attendance father and son and in some cases, grandfather, father and son. The bottom-line there was definitely an appreciation and an upholding of the musical heritage and legacy for a sizable segment of our population. Rock-N-Roll will live forever, because fans and practitioners make it a point to never let their heroes wither away into obscurity. The perception is that Little Johnny from the suburbs is likely to know at least a little something about Elvis or The Beatles while Little Darnel from the hood is hard pressed to tell you something about the most recent musical icons. I swear to God when I speak at schools I’m amazed how kids who love Juvenile, BG and Jay-Z will draw blank stares when you mention groups like X-Clan, Jungle Brothers and even Public Enemy. They’re completely at a loss when you start talking about James Brown, George Clinton and others. Sure they may have heard the names, but they never heard the songs. Sadder still they have no idea of their importance. Hence, that is the reason for penning this article. It’s up to us to make the necessary changes. Not only do we wanna say happy Birthday James Brown, but also we want to pass along a few tidbits to build upon. Thanks so much for this Davey! This will be shared on our Facebook site for our annual Hip-Hop Parade site in honor of Marcus Garvey. what a great piece of writing, thanks for this. Yes they did actually!!! GREAT post! !